For full consideration, applications are due by March 31, 2019. Review of applications begins on April 1, 2019 and will continue until the position is filled. 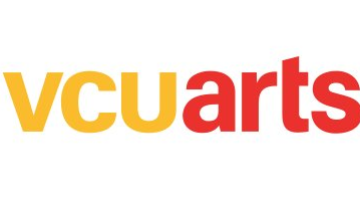 VCUarts (https://arts.vcu.edu/) invites applications and expressions of interest for the position of Associate Dean for Faculty Affairs. This position will be responsible for establishing and leading faculty development activities within VCUarts that are aligned with the School’s new strategic plan and VCU’s Quest 2025 (https://quest.vcu.edu/). The Associate Dean will be dedicated to the goal of building a culturally diverse and pluralistic faculty committed to teaching in a multicultural and inclusive environment. We welcome highly-collaborative candidates who possess lived experience that informs worldviews and/or perspectives about minority group status, to include race, ethnicity, gender, sexuality, religion, and disability. Candidates across a range of disciplines from fine art and design to scholars and performers, who demonstrate the cultural competency to promote and nurture a progressive faculty community are encouraged to apply. The successful candidate will be an experienced faculty member and/or administrator with the demonstrated ability to manage faculty governance, maintain and adhere to updated policies that impact communication with the faculty on a routine basis, and work as an advocate for the faculty, locally, nationally and internationally. The Associate Dean for Faculty Affairs will identify areas in which change is needed to meet the transformational goals of the School and will develop and continuously improve operational systems and services to ensure the School supports faculty holding a range of appointments, e.g. tenure-track, non-tenure track, tenured, adjunct, joint/hybrid appointments, affiliate faculty, and faculty affiliated with the University’s iCubed program. The Associate Dean will build strong and effective relationships throughout the faculty community and enhance a culture of strong intellectual discourse, inquiry and professional responsibility. The successful candidate will have a significant record of scholarly accomplishments and/or artistic endeavors and an administrative career driven by a commitment to innovative approaches to education and learning. Reporting directly to the Dean of the School of the Arts, the Associate Dean for Faculty Affairs will serve as a member of the School’s Leadership Team and will develop purposeful and deliberate partnerships with each member of the team to create a sense of unity and common purpose and to promote shared goals within the School and the University. VCUarts, located in Richmond, Virginia, offers a variety of graduate and undergraduate degrees in design, fine and performing arts, art history, and art education, with a unique emphasis on creative immersion. Far more than receiving simply an education or preparation for a career; students leave VCUarts with the practical, professional and personal skills needed to make a life in the arts, no matter how they define it. That’s why VCUarts’ programs emphasize both doing and knowing: why the majority of its faculty are working artists, performer, designers, and scholars; and why they encourage students to take advantage of the many academic and intellectual opportunities that come with being part of a research university. Today, VCUarts graduates can be found throughout the academic and professional fields and have been recognized with everything from Emmys to MacArthur Fellowships. VCUarts is accredited by the National Association of Schools of Art and Design, the National Association of Schools of Dance, the National Association of Schools of Music, the National Association of Schools of Theatre, the Virginia Department of Education, the Council for Interior Design Accreditation and the National Council for Accreditation for Teacher Education. VCUarts is ranked as the #1 public university arts and design graduate school in the country by US News and World Report. The school is comprised of sixteen programs, includes more than 3,000 students, and has become known as a pillar of artistic creation and expression. Its emerging artists explore their potential and strive for high standards set by faculty members acknowledged for their inspiration and achievement. The Associate Dean will lead by bringing about strategic change and encouraging a sense of mutual ownership of the faculty affairs goals identified in the School’s strategic plan. The Associate Dean’s responsibilities are interrelated with all other administrative offices within the School of the Arts and on campus and require facilitated coordination among and between those entities. Recruit, advance and retain outstanding and diverse faculty appropriate to the School’s vision which includes joint/hybrid faculty appointments who work across two or more academic disciplines/departments. With the support of Human Resources, ensure compliance with university policies and procedures related to faculty recruitment. Provides proactive training and support to faculty search committees, helping to ensure diversity, inclusivity and equity. Works closely with faculty search committees to implement best practices in recruiting and retaining diverse faculty personnel. Develop and build on a range of resources and infrastructure that will attract the strongest faculty applicants, with an emphasis on the capitalization of diversity as an integral component in achieving School priorities. Provide oversight for faculty orientation, training and mentoring with a special focus on diversity and inclusion efforts inside and outside the classroom and studio environments. In close collaboration with other Associate Deans, Department Chairs and Directors, and Human Resources, administers a wide variety of academic personnel policies and procedures and makes recommendations to the Dean to resolve faculty personnel issues. Liaises with Equity and Access Services, including the Title IX Office to resolve faculty issues related to VCU’s Code of Conduct. Promote opportunities for faculty career growth by overseeing the development, enhancement, implementation, and evaluation of professional development programs for all full-time and part-time faculty across the School. Ensure the effective annual assessment of faculty performance. Monitor and oversee the School’s promotion and tenue process, including oversight of the annual promotion and tenure review and the 3rd year review processes; liaise with the School’s promotion and tenure committee; maintain and continuously improve School- and department-level promotion and tenure policies, including those related to Arts, hybrid, and joint faculty appointments; serve as liaison to the VCUarts-Qatar campus for promotion; and mentor academic Chairs and Directors so they can effectively facilitate and guide faculty through the promotion and tenure process. Manage a faculty development program, including access to grant funding and other opportunities internal to VCUarts, e.g. dean's faculty exploratory grants, dean's faculty research grants, requests for research reassignment, adjunct faculty grants, and other support opportunities; promote the achievements, accolades and the reputation of the faculty which will ultimately increase the School’s and University’s national and international prominence. Develop faculty awareness of signs that could indicate when student learning and success is being impacted by a range of issues related to academic, financial and/or personal welfare. Criteria will be developed that guide faculty engagement with students regarding these often sensitive matters, some of which may not have a formal avenue of redress through official University channels. Organize and oversee faculty recognition and awards programs at both the School and University levels; maintain a database of faculty awards (internal and external), research reassignments and residencies. Serve as advocate for and to part-time faculty; ensure part-time faculty are properly oriented to the School and university environment; manage an adjunct faculty grant award program. Represent the interests of the School's faculty on designated University committees. Doctorate or terminal degree from an accredited institution is required. A tenured faculty appointment in one of the academic departments of the University may be awarded to an applicant with a terminal degree who also has a record of teaching, research / scholarly and creative activities, and service sufficient to merit such an appointment. Established record of continuous and documented scholarly and/or creative accomplishments at the national and international level to warrant a tenured appointment at the rank of associate or full professor. Significant teaching experience in higher education, at both undergraduate and graduate levels. A deep commitment to diversity, equity and inclusion and a clear vision for contributing to and increasing the School’s diversity in all forms. Demonstrated experience thriving in and engaging with diverse teams of constituencies to accomplish initiatives, foster an inclusive environment, and incorporate new and diverse ideas into everyday practice and when advancing change. Demonstrated experience in the areas of faculty affairs and faculty development. Evidence of successfully developing and mentoring faculty at all levels. Ability to analyze and present data, think systematically from both a detailed and strategic perspective, and gain support from key stakeholders to champion and implement change. Ability to prioritize, considers alternatives, and respond quickly and effectively to unexpected and rapidly changing conditions. Excellent organizational, decision-making and problem-solving skills. High personal, ethical and academic integrity standards; a demonstrated record of strong and consistent collegiality, collaboration and teamwork with faculty, administrators, staff and students. Excellent interpersonal skills, public speaking skills and writing ability; ability to converse with easily, listen attentively, respect and maintain confidentiality and deal calmly with stress while maintaining a good sense of humor. Doctorate or terminal degree in one of the School’s academic disciplines, or cognate disciplines in History, Education, etc. To apply, please submit application materials via VCU eJobs at https://www.vcujobs.com/postings/87353. Only electronic applications submitted via eJobs will be accepted. A list of five current references including names, addresses, phone numbers, and email addresses (references will not be contacted prior to applicant’s approval). The Letter of Interest should be submitted as one PDF in the “Cover Letter/Letter of Application” section in eJobs. The CV + list of references should be submitted as one PDF in the “Curriculum Vitae (CV)” section of eJobs.